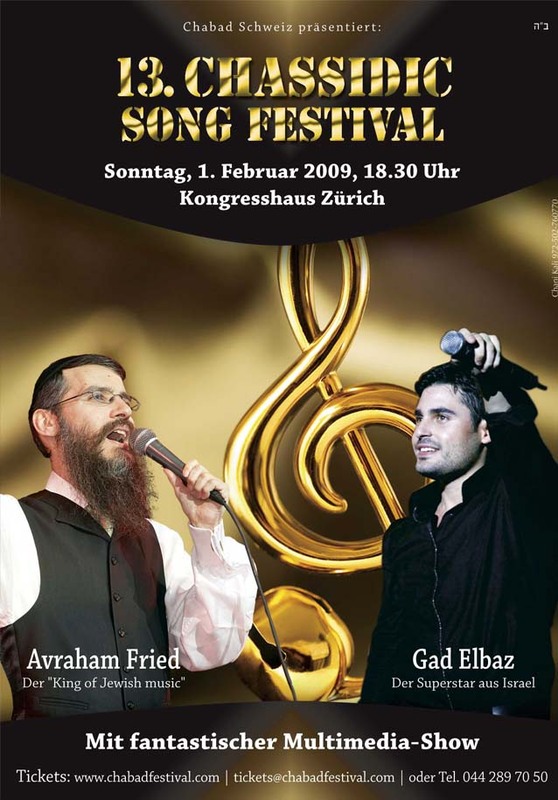 Chabad of Switzerland presents 13 CHASSIDIC SONG FESTIVAL. Sunday February 1st, 2009 6:30pm. Starring the “King of Jewish Music” AVRAHAM FRIED and the “Superstar from Israel” GAD ELBAZ, with a facinating Muls@chabadfestival.comti-Media show. Tickets can be purchased at chabadfestival.com or by emailing tickets@chabadfestival.com.